On October 6, 2010 Randy Scott Smith of Urbana, lost his 3 1/2 year battle with Cancer leaving behind his wife and two kids. Presently Ryan, the son, is serving in the Navy at NIOC at Pearl Harbor Naval Base in Hawaii and Jennifer, the daughter, is living in Hilliard. Debbie, the widow, is still living in Urbana. In Randy’s memory, we are going to donate the money to Champaign County Cancer Association and Community Mercy Hospice. Together we can make a difference for other families as Randy has touched so many lives with everyone he came to meet. His presence has impacted so many people and his faith has carried many also. In honor of Randy, we would like to live his memory on and help out all we can by helping others in need. If Randy were alive today, he would us to help others before helping himself. 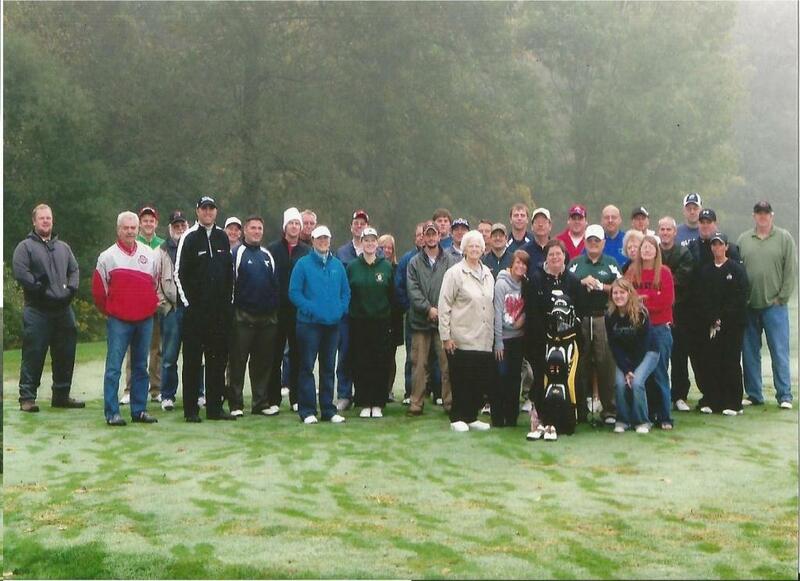 Randy was a great friend, father, and husband and let nothing stop in his way of playing golf. Let us join together and live. Let us live on. If you are interested in being a hole sponsor or donating a door prize? If you are interested in playing in this event?